Cyber security is an important component of tech today, with a market valued at almost $250 billion. Similar to the overall tech industry, cyber security has a market in almost every industry. As more company information is stored online, the more demand there is for cyber security solutions to secure it. However, the field didn’t grow without being able to adapt to new markets and to new demands. Similar to how tech’s future is constant flux, the future of cyber security is almost unpredictable. New security methods may emerge, as well as new requirements for companies to protect consumer and employee information. The one thing that’s certain to be in the future of cyber security is profit. Keep reading below for some quick predictions on where cyber security is headed into the future. Continued controversies over major tech companies’ handling consumer data may motivate new legislation around cyber security. New requirements may be handed down regulating how companies store and secure information. Those requirements are likely to exceed the security measures already in place. Companies may be forced to invest heavily in their cyber security divisions to conform to the law, which can lead to a sudden injection of cash in the near future. Previous years saw major leaks and hacks costing companies their customer’s information – and their reputation. Even more, it can cost consumers their sense of safety, their security, and in the worst cases, it can cost them stability in their lives. Leaked information is valuable because hackers can use it to steal money and sensitive information from people. That hasn’t changed at all. Hackers will continue to target major websites to gain access to litanies of user accounts. The only difference is they will face new issues trying to get their hands on the users’ personal information. Two-factor authorization has become mainstream for consumers and new back-end security protocols and security methods, such as the use of AI, will debilitate hacking attempts. However, that doesn’t mean everything is secure as hackers will always try to find ways around security setups. The role of cyber security professionals is to always stay one step ahead of the cybercriminal. In 2018, the United States recorded 31,465 data breaches, surpassing the global average of 24,615. Not only are cyber security threats becoming more prevalent, but they are also becoming more expensive. 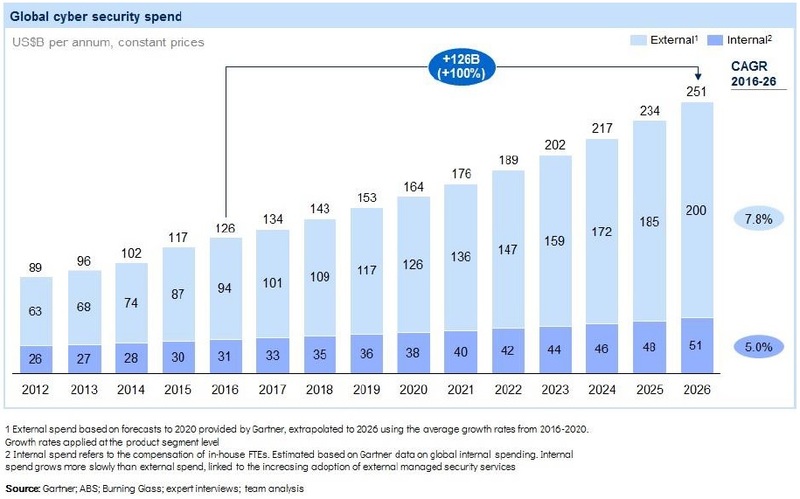 By 2021, the cost of cybercrime is expected to reach $6 trillion per year. Below are some cyber threat predictions for 2019. Ransomware has been a lucrative business for criminals for several years. Cybercriminals use their malicious software to block users from their computers and networks unless they pay a huge ransom and many companies are forced to pay. In fact, ransomware damages are expected to reach USD $11.5 billion by 2019 and USD $20 billion by 2021. The frequency of ransomware attacks is expected to increase to increase as well – shifting from a business being attacked every 14 seconds by the end of 2019 to every 11 seconds by 2021. 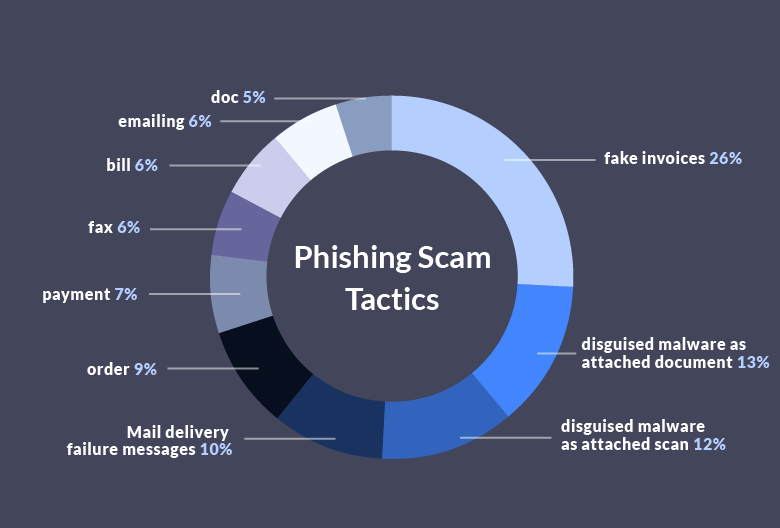 In the past years, phishing attacks have been on the rise and becoming increasingly harder to detect. For example, early in 2018, malware was sent through a MailChimp phishing campaign. Hackers used compromised accounts in MailChimp to send out malicious email blasts full of malware. Because MailChimp is a well-established and trusted email marketing provider, it is more likely these emails will bypass spam filters and get into the inbox of unsuspecting individuals. Cybercriminals spend a lot of time creating emails that look like they are coming from trusted sources like your cable company or your boss. Be vigilant by always being on the lookout for suspicious emails. Never click a link without first hovering over the target URL to confirm the correct domain. It is better to call a company or person to confirm they sent an email first before you click. With the rise of Bitcoin and other cryptocurrencies, so too is the rise of cryptocurrency mining. Cryptojacking is like a hijacking. Someone uses your computer to mine for cryptocurrency without your consent. Hackers do this by sending malicious links or infecting an online ad or website with code that begins the mining process. Just in the first quarter of 2018, there were nearly 2.9 million crypto-mining attempts. Most of the time, victims don’t know that they have been hacked. Often, the only hint that this is happening is a computer that is running slower and a big energy bill that will come in the mail at some point. Prevent cyber threats by installing ad-blocking or anti-crypto mining extensions on all your web browsers. And of course, be wary of suspicious attachments and links. There isn’t a single industry or field that has a completely predictable future. Political turmoil has upended the typical market expectations found in every industry. In times like these, it’s the industries that are acclimated to change that end up on top. Cyber security is one of those fields. Hackers are constantly changing the ways they try to illegally gain access to information. Cyber security constantly changes so it can keep up. In fact, investors who get in when times are uncertain may make the most profit. Cyber threats are becoming increasingly more sophisticated and harder to detect. Ransomware and phishing, especially, continue to be tools used by cybercriminals because of their high success rate. Be vigilant and keep on top of online security best practices to protect your data and your wallet against malicious attacks. Cyber security’s consistent growth makes the sector a viable opportunity for investors who want to diversify their portfolio through an ETF such as the Evolve Cyber Security Index ETF (TSX: CYBR).